HSPRODUCTS The products encompassed in this section, are of the highest quality and designed to give the correct level of protection, whilst being comfortable to wear/use. We use some or all of these projects ourselves whilst mixing etc. 5650 A general purpose face mask. Suitable only for nuisance dust generated when sweeping etc. Available in packs of ten. 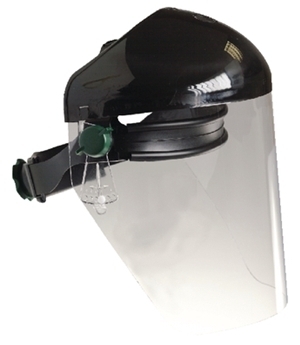 5652 The more expensive option to disposable masks, but designed for long term use. Supplied with filters for use with Ceramic products, which can be quickly changed. Spare filters are available. Dust only. 5653 Manufactured using the same material as our Tops and Trousers. This apron will not allow dust to penetrate, keeping the user clean. Multi size with strong fabric ties. Semi-waterproof. 5654 Manufactured in high tensile rubber, this apron is designed for maximum wear and water/ liquid protection. Very strong rubber and full length protection make this a good apron for those messy tasks. Again multi sized with strong ties. 5656 Manufactured in a special material designed not to allow dust through. They are now used extensively in the Pottery Industry and meet current Health and Safety Regulations. Ideal for use in classrooms or studios for maximum dust protection. Semiwaterproof. PLEASE STATE CHEST OR WAIST SIZE WHEN ORDERING. 5657 Manufactured in a special material designed not to allow dust through. They are now used extensively in the Pottery Industry and meet current Health and Safety Regulations. 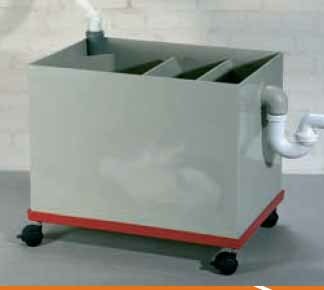 Ideal for use in classrooms or studios for maximum dust protection. Semiwaterproof. PLEASE STATE CHEST OR WAIST SIZE WHEN ORDERING. 5658 A totally waterproof low cost apron. Gives good overall protection from water or liquids. Manufactured from strong reinforced edge PVC. Multi size with strong ties. of 450C *, so they are ideal for Raku work and normal kiln work. * It is dangerous to handle ware at thesetemperatures! * It is extremely dangerous and unwise to handle ware at these temperatures! 5663 Full Face Clear Protective Face Cover - Heat resistant. The ideal Raku mask. WASTE22 Waste 22 - Twenty Two Gallon capacity Catch Tank. Designed to fit under sink between the sink bowl outlet and the drain.Collects sediment, but allows water to drain. Supplied with all necessary fittings for most UK fitted sinks.